The main frame is made with stainless steel tubes and sheets cut with CNC laser machinery and welded by aeronautic welding in a TIG atmosphere. The main frame is designed and tested to support 5 Gs loads with maximum weight at takeoff. 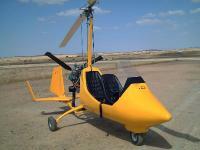 The rotor control system is dual to be able to pilot from both seats. Like the frame, it is made of stainless steel. All of the gyro points are mounted on stainless steel ball bearings with ZZ protection. The two joysticks consist of a "top gun" type stick with rotor trim controls and radio button (ptt) controls. The rotor head consists of parts tooled with a CNC machine. The parts are made of stainless steel, high strength steel and 7075 T6 hard aluminium. The bolts used are ISO certified, which guarantees their reliability and standardization. 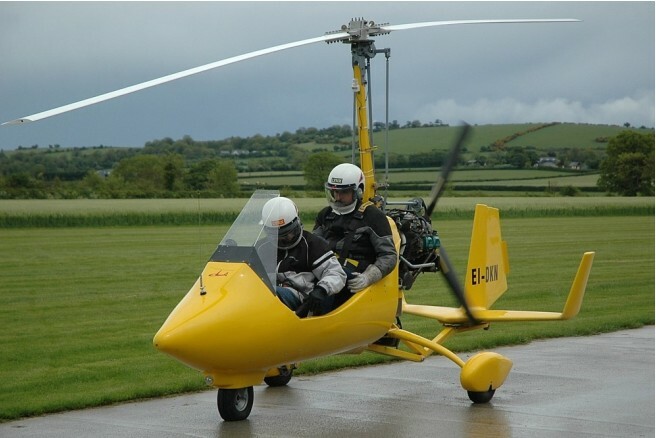 The rotor head houses the advanced pre-rotator and trim systems that are characteristic features of our autogyro. The autogyro's cabin is manufactured in carbon fibre and epoxy resin using state-of-the-art techniques for composite materials. Our plant has the right facilities for using advanced techniques, including air-conditioned cabins, curing furnaces and humidity control systems. The 07 model's cabin is equipped with a windscreen to protect the front seat. The tail unit is manufactured in carbon fibre and epoxy resin. The tail unit's frame design has been tested to the limit by Spain's Civil Aviation Department and has shown its strength at speeds of up to 210 Km/hr. The ELA rotor is manufactured in a combination of aluminium and fibreglass with epoxy resin. The rotor blades are manufactured yjr ELA plant and which has been certified by the Spanish Civil Aviation Department. The certification tests have proved that the blade can support traction loads of up to 26,000 Kg, whereas the top flight load does not exceed 6,500 Kg. Standard equipment for the ELA 07 includes altímeter, airspeed, vertical speed, compass, engine and rotor rpm, cht, oil temperature, oil pressure, fuel pressure, trim position indicator, fuel level, hour counter, mechanical prerotator, pneumatic rotor brake with parking system, pneumatic trim, landing light, 72 liters fuel tank, carbon fibre propeller, carbon fibre cockpit and tail planes, aluminium and carbon fibre rotor blades, front wheel cover stone guard . Optional extras include EGT, wheel spats, strobe light, manifold pressure, and dual controls.